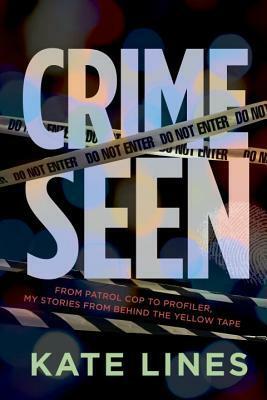 From Penguin Random House ~ A criminal profiler, trained at Quantico, former Chief Superintendent of the Ontario Provincial Police (OPP) Kate Lines recounts her remarkable story using pivotal cases she worked on in the course of her career. How does a farm girl from Ennismore enter a male-dominated field and become a top criminal profiler and groundbreaking leader? For Kate Lines, it started humbly, patrolling highways. She learned quickly that the best way to thrive was to keep calm, carry on and never lose her sense of humour. In what would be the first of many dramatic turns in her career, Kate traded in her uniform for a tight miniskirt and a leather jacket, becoming one of the OPP’s first female undercover officers. In 1990 came the opportunity of a lifetime: to be chosen as the 2nd-ever Canadian in an elite program at Quantico, Virginia in what was then the emerging field of criminal profiling. After 10 months of an intensive education in the intricacies of violent crime, Kate’s new skills made her much in demand back home. Over the years she was involved in a number of high-profile cases, such as the abduction and murder of Kristen French and of Tori Stafford and the disappearance of Michael Dunahee. Kate was an early proponent of ViCLAS (the Violent Crime Linkage Analysis System) and when she took charge of the new and massive Behavioural Sciences division in Orillia, she took over ViCLAS and turned the department into a hub of innovation. Kate was awarded a Governor General’s medal for being in the top 1/10th of 1% of the members of police forces that year. The following year the Canadian Police Leadership Foundation named her Police Leader of the Year. Kate Lines joined the Ontario Provincial Police in 1977. Her early days at work comprised uniform patrol, undercover drugs, fraud and major crimes. In 1991, she completed the FBI's Criminal Profiling Fellowship Program in Quantico, VA, the second Canadian to graduate from the program. She later became the first female Director of Intelligence Bureau. Much honoured during her 33-year policing career, Lines received the Officer of the Order of Merit Medal, Queen's Commission, International Association of Women Police Excellence in Performance Award, Ontario Women in Law Enforcement Excellence in Performance and Team Endeavours Award and Canadian Police Leadership Forum's Police Leader of the Year award. She currently acts as a consultant to businesses and police forces and on TV shows such as Rookie Blue and Flashpoint. This book starts with the author's background, as the last born child and raised on a farm. 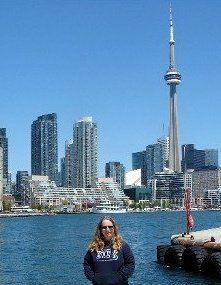 She had wanted to go to law school but wasn't accepted so went into law enforcement instead (Ontario Provincial Police). She describes the experience she gained and relationships she built while on patrol and undercover. She came across some opportunities to train and advance and took advantage of them. I enjoyed the writing style. I found there was just enough information provided without being too detailed. As a head's up, there is swearing and graphic descriptions.